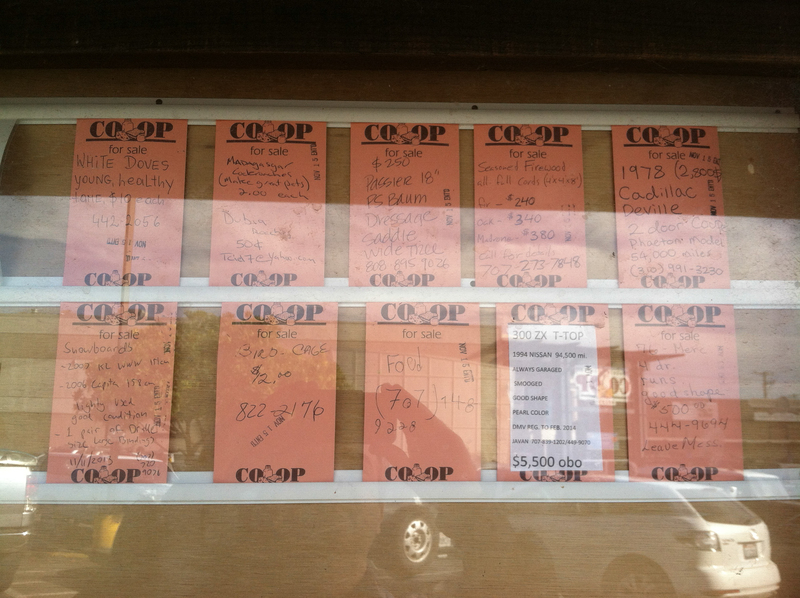 This photo shows some items that were listed for sale in front of the Co-op in Arcata a few weeks back (click on the image for a much larger version). 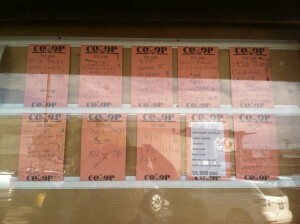 I think it says a few things about where this town’s head is at. If you read it aloud to yourself, it’s kind of like Beat poetry.